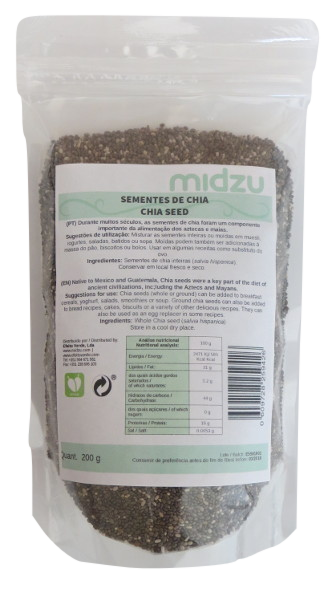 In the early history of the Americas, chia seeds were a staple food to many indigenous peoples, valued as an easily digested high-energy food in a very compact form. Three and a half ounces of the seeds have been shown to contain as much omega-3 as twenty-eight ounces of salmon, as much calcium as three cups of milk, and as much iron as five cups of raw spinach. The same three and a half ounces of chia seeds also contain an amount of potassium that is equivalent to one and a half bananas, the same amount of vegetable protein as a cup and a half of kidney beans, and as much vitamin C as seven oranges. 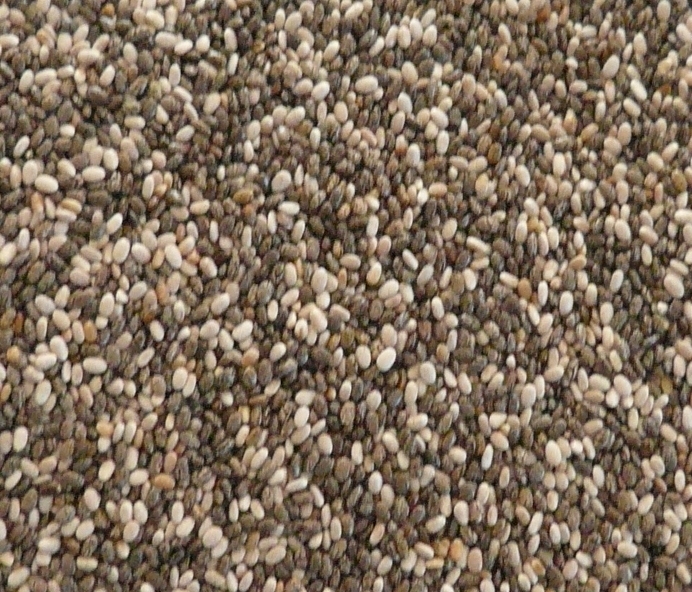 Chia contains a high amount of fiber, approximately 7 grams of fiber in a 25-gram serving of seeds. It also has minerals such as calcium, magnesium, phosphorus, iron, manganese and zinc. All of the essential amino acids are included, except for taurine. The antioxidant content is higher than that of blueberries, and chia seeds also have more iron than spinach and more calcium than cow's milk. They have twice the protein of other seeds and grains. The chia is considered one of the best sources of omega 3 and 6, providing the perfect ratio between omega 3 and omega 6, which is ideal for healthy eating. Omega-3 is an important nutrient especially for children, pregnant women, students or anyone who faces strong intellectual activity. 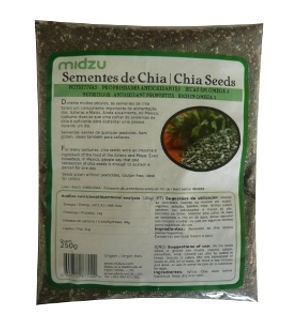 According to Outpatient clinic of Risk Factor Modification Center, Michael's hospital, Toronto, Canada, Chia seeds decrease Systolic blood pressure(SBP) by 6.3 ± 4 mmHg (P < 0.001), high-sensitivity C-reactive protein (hs-CRP) (mg/l) by 40 ± 1.6% (P = 0.04), and vonWillebrand factor (vWF) by 21 ± 0.3% (P = 0.03), that results no fluctuation in safety parameters including liver, kidney and body weight.